Description - Get a total-body workout on the most versatile and complete combo bench available. The PowerCenter Combo Bench (#GDIB46L) is a Flat Bench, Incline Bench, Decline Bench, 90° Shoulder Press Bench, and Seated Leg Developer all in one. You can see the dynamics of this bench as soon as you glance at the multi-position, telescoping uprights that safely hold the bar for bench exercises. 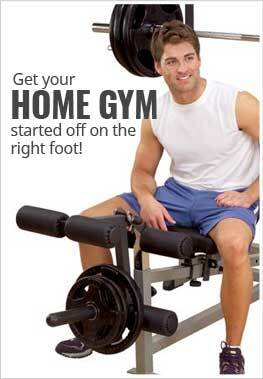 The 6-position Flat / Incline / Decline / Bench features pop-pin adjustable DuraFirm"! seat and back pads that are extra-thick, ultra-comfortable, and will never bottom out. 6-Position Flat / Incline / Decline. Back Pad Adjustments: 0°, 30°, 50°, 60°, 70°, 80°. Seat Pad Adjustments: 0°, 10°, 20°, 30°. DuraFirm™ back and seat pads. DuraFirm back and seat pads.